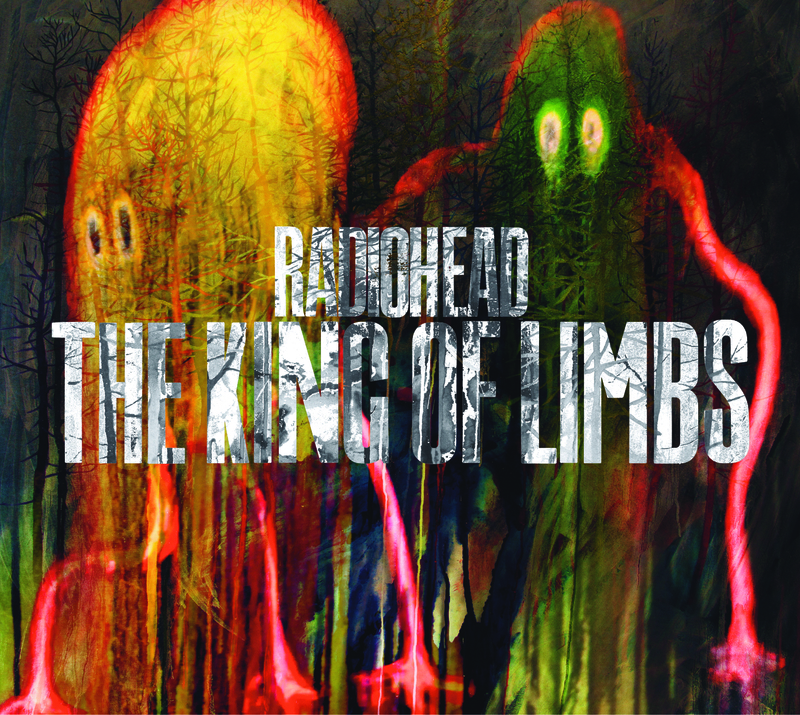 The official video for Radiohead’s “Lotus Flower”. 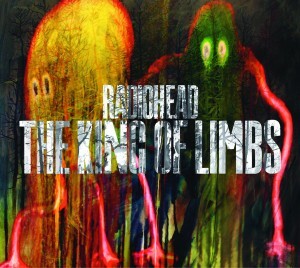 I woke up this morning to find a post on AtEase about Radiohead posting the new record early. It turns out Radiohead is as impatient as I am. They’ve already released the new record, a full day early. Go get it here: theKingofLimbs.com. Playing Tunes In All 12 Keys? Really? Note: This article was inspired by Neal over at SaxStation who published this post about 12-key practice. I’m sure we’ve all heard the legends about Bird practicing all tunes in every key at any tempo. And regardless whether this is true or not (which I’m sure is to some degree…I doubt he played “Donna Lee” in every key for example, but I bet he moved “Indiana” around), it sure sets a high bar for fluent modern Jazz musicians. So why would anyone do such a thing? Can’t we just agree on common key centers, like always having “Cherokee” in Bb and “Days of Wine & Roses” in F? For many (if not all) of my students and definitely for me, I learned tunes by figuring out the notes, getting comfortable with the head, the chords…etc. I’d improvise bass lines to acclimate to the roots, play guide tones to study the inner voices and possible routes through the chords and arpeggiate and invert all the harmonies. I’d also reference as many recordings as I could (especially by great ’30s to ’60s players, since modern guys are notorious for elaborating, reharmonizing and otherwise distorting). This last weekend, I had the pleasure of playing with two very gifted musicians – Bob Lashier on Bass, and Peter Zale on piano, both of whom are tremendously well versed in playing in any key. And any key is fair game – easy ones like “Blue Monk” in C and “Someday My Prince Will Come” in F (or in E Bob!!! ), and more sophisticated ones like “It Could Happen to You” in G and “Autumn Leaves” wherever they felt like putting it that night. You see, they frequently back singers. And like all musicians, singers have limitations based on their “instrument”. Range considerations tend to matter a great deal, and can very often make the difference in a successful performance…too high and your singer sounds like a screeching banshee. Too low and that sultry voice now sounds like a crooning thug from Brooklyn. As accompanists (and yes Mr. Future-Sax-Revolutionary, you are an accompanist in this situation) we have to make sure everyone sounds their best, and “Days” in F may be an awful key for the singer, but A might suit them nicely. I am by no means a master at this, but the work I’ve done has given me enough skill to face these situations head on and usually come out with only a few bruises. And since the singer is often the bandleader, or has the ear of the leader after the show, making them comfortable sure helps job security. So does this justify all that work? Not so much? Maybe you don’t work with singers, or they do tunes in your keys. That was a tall order. Sometimes I’d get close…usually the 5th tune would be foggy in my mind, but the others were doable. Other times, I’d get stuck on the 12-key tune and never get to the others. But I began to notice a huge change in my method for memorizing a tune. I began to think numerically and functionally, rather than by letters. Let me explain. We all know the progression Dmin7, G7, CΔ7, the ever-present ii-V7-I progression. A college professor once told me that this progression makes up about 3/4 of all jazz tunes out there…something I can’t imagine anyone has ever attempted to verify (I mean, how could you? ), but I’m sure we can agree it occurs a lot. It’s a huge challenge if you try to retain every chord as a separate item. But realizing that you have a ii-V-I progression over two bars, over and over again in keys dropping by Major 3rds sure organizes things better. Now, three chords merge into one common pattern. A mess of 12 chords gets reduced to a I chord and 3 ii-V-I progressions in 3 keys. If you count getting in and out of the bridge, it’s 15 chords cut down to 5 ii-V-Is in 4 keys. Not simple, but a heck of a lot better than it was before. And the magic happens when you relocate the progression to a new key. Now I don’t have to move each chord in my mind by a specified interval. I just reconstruct it in the new key. I made an effort to reduce this concept to something simple, but this didn’t come to me easily. It took a great deal of effort and thought. So if it still seems complex, I guess it is to a degree. But it was transformative in my thinking. Once I realized how much easier it was to relocate chords when you think in numbers, I stretched out to include more patterns…I-vi-ii-V, turnaround to ii, 12-bar Blues, V down progressions…and so on. This has hugely sped up my memorization process. What used to take weeks could now be hours if I can grasp the structure of a tune. Are you convinced now? Maybe a bit overwhelmed? This requires a good grasp of theory, and while it simplifies everything, you still have to be fluent in every key, and know these patterns in every key. This isn’t a magic bullet. But if you see a need to practice efficiently (and being a sax player with kids and too many jobs, I sure do) and you desire the flexibility this technique offers, don’t wait another moment. The next time someone calls “My Romance” in D, you’ll be thankful you did. Another note: Monica Shriver suggested I do a follow-up post describing my method for this. I agree…here it is…my method for practicing in all 12 keys. Well, there are a lot of paths to break out of this sort of thing, but one of the more useful ones for me, has been transcribing the solos of non-sax players. In particular, I love guitarists and trumpet players, but a great solo is a great solo. 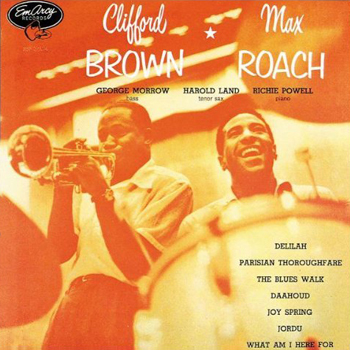 Around a year ago, a student of mine was slaving away at Clifford Brown’s “Joy Spring” (from Clifford Brown & Max Roach). That’s a real masterpiece of his, and the student was struggling with the infamous (and incredibly cool) 1st-chorus bridge. While helping overcome some of that, I remembered my excitement for this particular solo when I first heard it. Its filled with perfect bebop phrases with less of the common idiomatic lines associated with Charlie Parker’s enormous shadow. In short, Clifford’s solo reminded me that bebop could be played without quoting Bird every other bar. So in honor of Brownie, and the efforts of that particular student, here’s my completed take on “Joy Spring”. I had a conversation with some local pros, and being a shameless self promoter :), I mentioned these transcriptions. In particular, since I was talking to some trumpet players at the time, I thought they’d get a kick out of a sax-player picking one of the great trumpet players. I was wrong. Bluntly, I was told by two of them that Brownie had already been completely transcribed and archived. It was even suggested that I shouldn’t bother, and go do someone else’s solos. Clearly, they misunderstood my intentions. Transcribing is about absorbing the ideas and influence of players you find appealing. Despite me writing these down when I’m finished, this is about the process, not the resulting sheet music. I pick 16 to 32 bars a day. Sometimes less if its really nasty…not usually much more though. Once I have that memorized, I play it a ton, looking for phrasing I might have missed, quirks in articulation and cool lines to blatantly steal. After that, I write it down. This is really for posterity sake. I like to refer back to old solos I worked on. Often, I look back to find that interesting lick I didn’t really get at the time or remember a sequence that was developed really well. Michael Brecker and I have a long, rich history…not the person himself (God rest his soul) unfortunately, but his recordings for sure. Michael’s records brought me into Jazz, and I had the pleasure of meeting him a few times, which were wonderful moments for me, and I’m sure quite uneventful for him, me being just another in his legion of fans. You see, when I was just cutting my teeth on Jazz in the early 90s, I found a cassette tape of Brecker’s recording Now You See It, Now You Don’t. Saxophone monster (and fellow Bulldog) Josh Cook gave it to me in while I was in High School, which I had listened to and then dropped into a box of tapes. I didn’t get it at the time. I was still freaking out over Soundgarden and Pearl Jam and raiding my parents’ closet for Flannel shirts. A year later, I found my way back to the tape. I had my wisdom teeth out…all 4 cracked in my gums while being pulled. To compensate, the dentist hit me with a blast of anesthesia that had me delirious for almost a week. So in that “enlightened” mental state, I lay in my bed, zoning out. To break the silence, I grabbed a random tape from a box next to me, tossed it in the deck, and was blown away by what I heard. Incredible virtuosity, exotic harmonies, and that incredible sound! I was hooked. Jazz, and Brecker were in my life for better or worse. 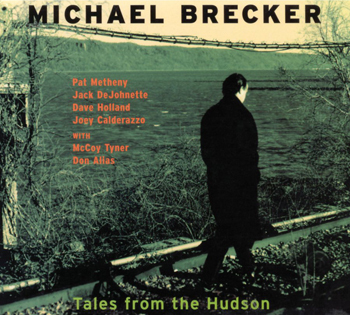 So Michael Brecker became my guide into the world of jazz…a hell of a way to start if you ask me. Ridiculous chops, tremendous harmonic vocabulary, and a body of work larger than most players could dream of…now mine for browsing and exploring. Now, even though I’ve moved on to other players and studied much more of the music’s history, Brecker has remained a touchstone for me. Ok, ok…get to the point already, right? So this week’s transcription (in honor of his passing, 4 years ago yesterday) is one I did back then…circa 1998 while in Dave Schmidt’s Improvisation class at Glendale Community College. It was only the 2nd solo I ever learned, and man did I push myself with this one. I’ve since gone back and revised this a few times, finding some wrong notes and rhythms here and there, and I took the time to redo the chords I originally wrote…I had the bass notes, but the chord qualities were all wonky. I gave an earlier version to Eric Dannewitz to publish over at his site Jazz-sax.com, and I’ve seen this floating around online on several sites that collect piles of transcriptions. Well, forget about those versions. This is the final revision. Version 2.0 if you will. Far more accurate and as clean as I can notate it. This is a hell of a solo. Blues-inspired lines, pentatonics, melodic minor modes, and hard-edged R&B phrasing, all in the context of a minor blues-influenced form written by Joey Calderazzo. While there’s really a lot that could be said of this one, I tend to focus on just a couple things throughout. Notice the variety brought to the Bb7, A7b9 progression that ends every 8 bar phrase? Brecker brings a lot of ideas and shapes to this, but almost all of the lines can be seen as implying F-7 over the Bb7, and using A Super-Locrian (Bb Melodic Minor) over the A7b9. Doing a little beat-by-beat analysis shows that Brecker places the more dissonant tones (b9, #9, #5) on the beat or at emphasized points in the line, giving them more attention and “grind”. I’ve been paying attention to “Forward Motion” (from Hal Galper’s book of the same title) lately. There are several concepts to be had in that text, but a significant one is that well-crafted “singing melodies” lead into target tones (guide tones), rather than lead from them. Brecker’s lines show this all over the place. Notice how he often anticipates a chord by a few beats? This gives his solo a sense of freedom, of not being restricted by perceived bar-lines. It also lends a driving quality to his lines…pushing forward relentlessly. Get your Melodic Minor modes working. This solo is a treasure-trove of licks from that vocabulary. Just find an A7b9 in the transcription below and go to town. Practice Forward Motion. Look ahead to the next chord. Hear a target tone on that chord…whatever comes to mind. Now drive towards it deliberately. You will really get the effect if you lead in with notes in the target chord, rather than the one you’re playing against. This is often called anticipation, and it will help break down the boxy feel of a solo by blurring the lines between chords. Better yet…read Forward Motion and get to work. 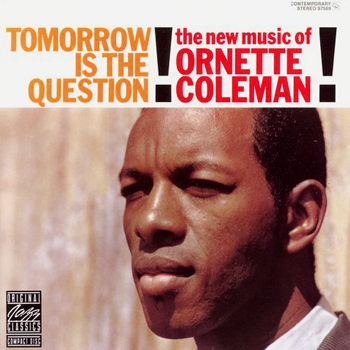 About a week ago, I posted a transcription of Ornette Coleman playing a blues of his called “Turnaround” from 1959’s Tomorrow is the Question. For the sake of comparison, I picked a solo of Joshua Redman playing the tune in his more Sonny Rollins, post-bop way. You can find this is on his 1993 record Wish. 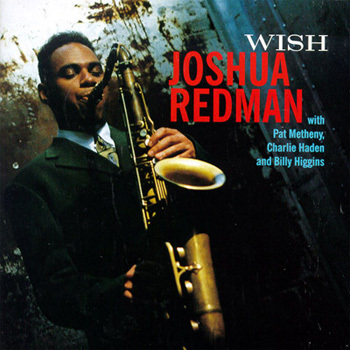 The way Redman plays it, it’s really just a conventional blues in C.
The 1st solo Chorus C is basically all this idea being developed…a lot like the famous Sonny Rollins solo on “St. Thomas” from Saxophone Colossus. If you really look/listen, you’ll hear that minor 3rd idea show up everywhere. He even goes so far as to end the solo on it, coming right back to the very first idea he played. Basically, he sequences it through the changes with some rhythmic twists. For this motif, he almost always sticks to diatonic sequences (meaning, within the chord/scale…except notably in bar 55 & 56 where he sounds strikingly like Ornette Coleman). After a bit of Bebop to end Chorus C, he introduces the only other major motif of his solo…a developed version of the closing 4 bars of the head. For this idea, he usually wanders outside chromatically, just like the original melody. Check out Chorus G…he really lets it go! Also, dig on the rhythmic playfulness in the solo. My last jazz teacher, Jerry Bergonzi, calls lines like the one in the 1st two bars of E “shifting gears”, where you literally play in a different meter, polyrhythmically over the time. Redman is implying a bar of 3/4 inside of every half note for the 1st few measures here. He gives it the feel of 8ths being played in a faster 3/4, instead of triplets in 4/4 (ergo my weird notation choice…). He takes it much further in Chorus G where he goes crazy developing the 2nd motif while shifting gears. NOTE: The notation will be tough to play with the right feel unless you check out the record, so go get the track to fully appreciate what he does here. Set goals like, 1 idea for each phrase of a 32-bar tune, or a full chorus of blues. Like the current trend of Motown & Stax inspired bands? Groups like Sharon Jones & the Dap Kings, Amy Winehouse and Raphael Saadiq peak your interest? Well, here’s another. Fitz and the Tantrums is worth a listen…especially the track “Money Grabber”. It would feel right at home in a Quentin Tarentino film. My brother Alex gave this to me for Christmas, and I have to say, I really dig it. 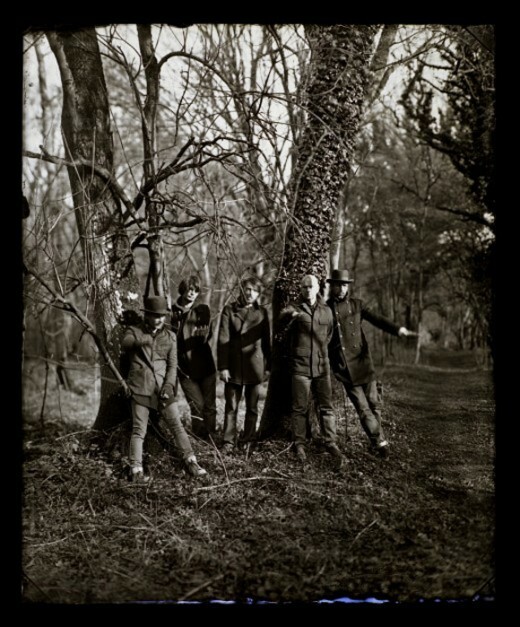 Sure, there’s weak moments…a few tracks lag or just don’t quite have that magic. And the cover sports a Bond-inspired pop-art style and a photo of a sleazy-looking singer who seems pulled right from a lounge act in a dive bar. So I was skeptical that this was just going to be a ridiculous mess. But surprisingly, it’s not over-the-top. It’s just well-crafted retro-pop from an era where more than 3 chords in a pop song was still okay. Transcription, in my view, is the best thing an improvisor can do to improve their abilities as a player. In doing so, you study phrasing, time and groove, tunes, licks and cliches…pretty much every component of the Jazz vernacular (or whatever style you might be studying). It also greatly improves your ear, your concept of sound production, and provides inspiration, influence and a sense of history in your solos. What better way to reach for the greats than by studying them without a middle man filtering it for you? I’ve done lots of these through the years and have had them all typed up, ready to go in folders on my computer. I recently decided to share, in part to get comments on editing, but mostly just to get these out into the world for anyone who might want them. Feel free to download and study to your heart’s content. All I ask is that any copy you give out or share gives me credit for the work done and maintains the link back to here at the bottom. So, how about an Ornette-inspired practice tip? Feel free to leave comments on the analysis or whatever strikes you.